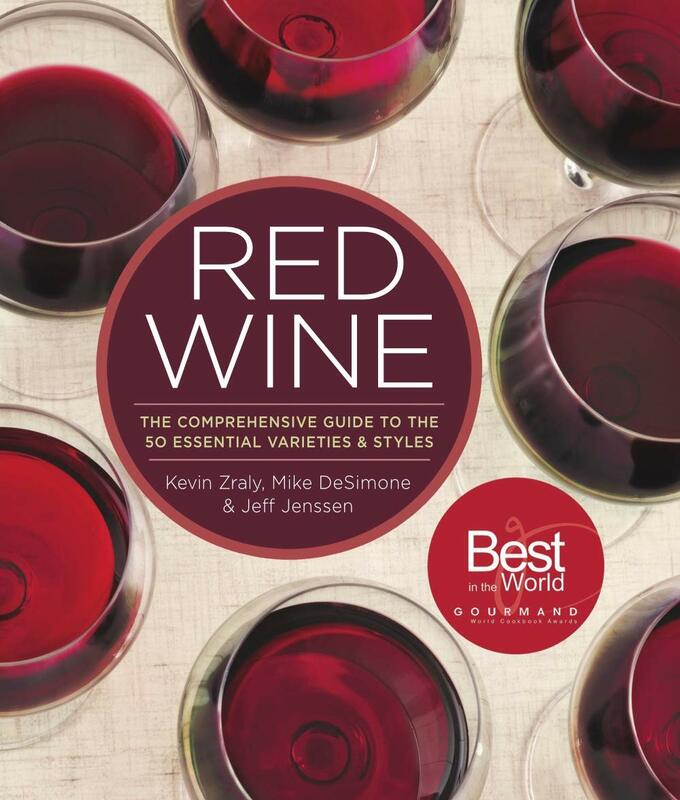 Kevin Zraly is a legend in wine education, and here with coauthors Mike DeSimone and Jeff Jenssen he aims to dissect the world of red wine, clipping it into 50 “essential” varieties and styles. Organizationally, it couldn’t be simpler: Specifically, the book takes you through an alphabetical glossary of 41 grape varietals, then 9 styles (most of which are blends). Each grape/style gets a handful of pages, and the book is surprisingly useful, with sections on color, typical tasting notes (with handy icons), food pairings, and even a world map of regions where the grape is harvested. From there we drill down into the origins of the grape and the wines it is used to make, with subsections typically further broken down from there on a regional basis. Never pedantic, always practical, it’s written with the layperson who just wants to expand his knowledge level in mind, not the wine nerd. If you need a primer on Blaufrankisch or Monastrell, this book has you covered in spades. If there’s any issue with the book, it’s that it often feels like three different books, written by three different people and collated together at the end. Every grape ends with three sections worth of wine recommendations: Kevin’s picks, Mike’s picks, and Jeff’s picks. I get that readers might gravitate to one writer or another, but was there no way to build a consensus to clean this up a bit? Also, and this probably sounds like kvetching, there are actually too many photographs in the book — particularly two-page spreads of barrel close-ups and rows of grapes. While this adds to the coffee table displayability of the book, it unfortunately makes it harder to flip through to find the grape you’re looking for. Here’s the best surprise: At just $14 for a 250-plus page, full-color hardcover, they’re practically giving the book away. Get one!